"KC" can not be assigned to a declared number type with value 14. Fireman Key Chain is a Town key chain set released in 1980. 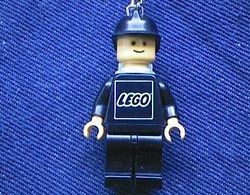 It consists of a firefighter minifigure wearing a black uniform with an old LEGO logo on its shirt, attached to a key chain. Facts about "Fireman Key Chain"